Skiing For Dummies: ULTIMATE GUIDE FOR LEARNING HOW TO SKI. Learn Skiing Secrets. Guaranteed to help your ski technique. Skiing for Beginners and Intermediate level. Overcome your fears. LEARN THE SECRETS OF LEARNING TO SKI!!.. THIS PUBLICATION WAS WRITTEN WITH YOU IN MIND! A BEGINNERS PERSPECTIVE WHERE BEN MILLER WILL TAKE YOU BY THE HAND AND LEAD YOU THROUGH THE COMPLEX MAZE OF MIS-INFORMATION, INTRICATE DIAGRAMS AND SKI JARGON OF OTHER SKI MANUALS AND BOOKS. WHICH WILL GUARANTEE AN INCREASE IN YOUR SELF-ESTEEM, SELF CONFIDENCE AND ABILITY ON THE SKIS! Inside you will find everything you need to know to get you started on the right track with practical techniques, theory and basic ski navigation. A simple, yet effective breakdown of all the talking points to get you on the slopes and skiing without fear and an inner confidence you didn’t even know existed. The secrets of better skiing are now within your grasp. 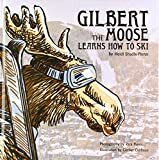 Gilbert The Moose Learns How To Ski by author Heidi Shadix-Pieros, featuring the Illustrations of Corbet Curfman and the photography of Rick Pieros. Gilbert The Moose Learns How To Ski is the story of a young moose who dreams of skiing. When Gilbert The Moose decides to learn how to ski, he starts out on his own, but soon finds that he might need some help. Ski with Gilbert, as he discovers that learning something new can be easier with friends. Gilbert The Moose Learns How To Ski is a large format children's book featuring over 30 color illustrations and conveys a message of courage and perseverance. How To Ski: ULTIMATE GUIDE FOR LEARNING HOW TO SKI. Learn Skiing Secrets. Guaranteed to help your ski technique. Skiing for Beginners and Intermediate level. Overcome your fears. LEARN THE SECRETS OF SKIING WITH THIS EXCLUSIVE 2 BOOK BUNDLE SET. READ THIS PUBLICATION FREE AS PART OF YOUR KINDLE UNLIMITED MEMBERSHIP. THIS PUBLICATION WAS WRITTEN WITH YOU IN MIND! A BEGINNERS PERSPECTIVE WHERE EUROPEAN MEDALIST, BEN MILLER WILL TAKE YOU BY THE HAND AND LEAD YOU THROUGH THE COMPLEX MAZE OF MIS-INFORMATION, INTRICATE DIAGRAMS AND SKI JARGON OF OTHER SKI MANUALS AND BOOKS. - THE ADVANCED SKILL SET. - TURNING ON YOUR SKIS. Do your kids like Snow Skiing? Great! You are in the right place. You can help them learn about Snow Skiing today. How can I get some Sky Diving photos into my kid's hands today? This book has photos of Snow Skiing. This book has info on Snow Skiing. This book has facts on Snow Skiing. This book will help you read better. Buy the book "Snow Skiing! Learn About Snow Skiing And Learn To Read - The Learning Club!" Right Now! Do your kids like Water Skiing? Great! You are in the right place. You can help them learn about Water Skiing today. How can I get some Water Skiing photos into my kid's hands today? This book has photos of Water Skiing. This book has info on Water Skiing. This book has facts on Water Skiing. Buy the book "Water Skiing! 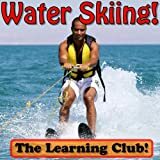 Learn About Water Skiing And Learn To Read - The Learning Club!" Right Now! For a great beginner's weekend; a ton of easy to follow step-by-step illustrations. Part of the "Learn-in-a-Weekend" series. One winter morning, Mr. Magee and his little dog, Dee, head out bright and early to learn how to ski. But what begins as a pleasant day in the snow quickly goes downhill when a run-in with a curious moose sends them flying through the air and hanging above an abyss! How will Dee and Magee find their way out of this snowy situation? Chris Van Dusen, the creator of Down to the Sea with Mr. Magee and A Camping Spree with Mr. Magee, has crafted yet another fun-filled adventure for Magee fans old and new. Plus, this is a fixed-format version of the book, which looks nearly identical to the print version. Learn to ski better than you've imagined with Weems Westfeldt's Sports Diamond™--a "multi-tool" for better self-coaching in skiing...AND all sports.